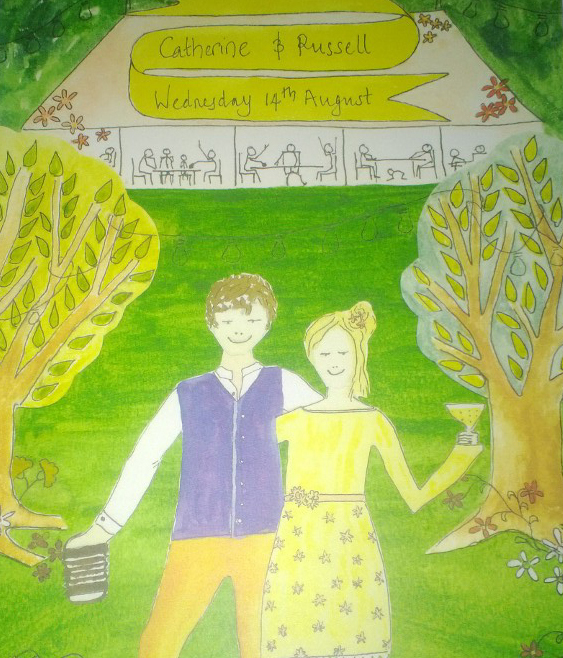 Catherine and Russell wanted to make sure that no one paid a penny for drinks at their wedding at Cowparsley, Taunton. Living in London the logistics were tricky, especially on a budget. As part of our dry hire service we supported the couple to decide on menu stock and accessories needed to make sure that they catered for everyone’s taste-buds and didn’t break the bank. We met with the couple the day before to help them choose and ensure that they had all bases covered. We were excited by their idea of “Pimped Prosecco”. Somerset Pomanda, Elder flower and Orange juice were ideal mixers to spice up the bubbles. A concept that was extremely popular with all guests, especially as they were served in original babysham glasses. The rain held off which ensured everyone was out enjoying the surroundings of the stunning Cowparsley farm. 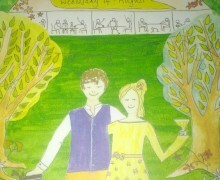 The venue, like Cedric had been heavily customised to match the couple’s vision. With amazingly musical guests a stage was set up which the wedding party showed off their various talents, which ensured that everyone woke up with both sore heads and sore feet in the morning. A great wedding for a great couple, they are an inspiration for all the DIY organisers.